In order to keep the diagram clean, IP addresses and interfaces have been excluded. Select whichever interfaces you like, but be sure they are all of the same speed and default bandwidth for EIGRP/OSPF metric calculation. Use 192.168.xy.0/24 for each network where x and y are router numbers. Example: 192.168.12.1 and 192.168.12.2 for the link between R1 and R2. If an IP address is in a colored circle, that means it belongs to that protocol and should be advertised by that protocol. No static, policy, or default routing allowed. You may modify any metric, administrative distance, or route tags anywhere to solve this lab. Mutually redistribute between OSPF and RIP on R1. Mutually redistribute between EIGRP and RIP on R2. 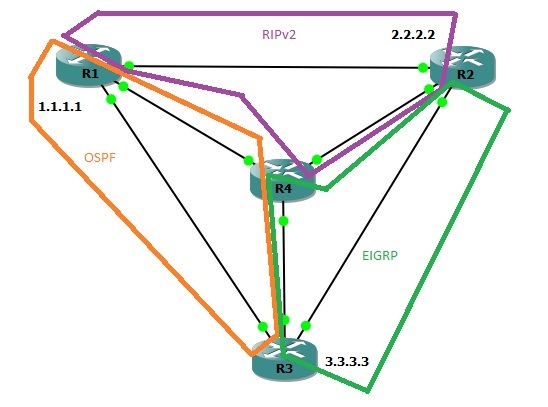 Mutually redistribute between EIGRP and OSPF on R3. Mutually redistribute between OSPF and RIP on R4. Mutually redistribute between EIGRP and RIP on R4. Mutually redistribute between EIGRP and OSPF on R4. Create a new loopback interface on R4: 4.4.4.4/32. Redistribute this new loopback into EIGRP (don’t use the network command). Redistribute this new loopback into OSPF (don’t use the network command). Redistribute this new loopback into RIP (don’t use the network command). To complete this lab, the route from any two loopback addresses must be one hop. Perform this test on every router with a traceroute sourced from the local loopback destined for the other (3) loopbacks. 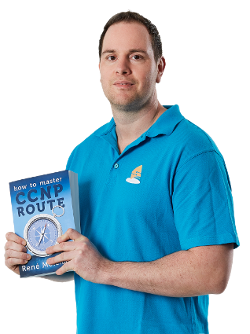 Routers will automatically rate-limit ICMP unreachables which makes traceroute slower. 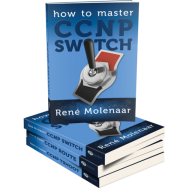 “no ip icmp rate-limit unreachable”. You will need to use the word “redistribute” (15) times to solve this lab. “debug ip routing” is your friend. Do not allow routes with the tag of your IGP to come back. Nope. There is more to it than that. Your solution will prevent loops but does not completely solve the task. You have to pay very close to metrics to avoid suboptimal routing. In one case, you MUST make a manual AD change for a single route as well. It’s tougher than you think! Here is topology file and initial confs for those who interested. Can you please provide a password to download the file? Can anyone post the solution for this? I have redistribution working well, but am dumbfounded as to how to fix the suboptimal routing issues. Everytime I change the AD and cost and get it working for 1 router, it causes suboptimal routing in the others. Kind of like when you get 1 side of a Rubik’s cube set and you try the 2nd side and mess up the first, and are right back where you started. That is the same problem I had towards the end. You’ll need to use a per-route AD-adjustment feature to make this work. I believe my issue was that R1 was preferring RIP (R2) to reach 3.3.3.3, when it should have preferred R3 via OSPF external. where’s the answer of this topology ‘s configuration files? There is something confusing me, the task says to create a loopback 4.4.4.4 on R4 and redistribute it to all routing protocols in which R4 participate, but them says that we have to test trace to others loopback (3), it means that we have to create loopback on the other routers and do the same we did on R4? I wrote this lab a very long time ago. I believe the intent is to create a loopback per router (1.1.1.1, 2.2.2.2, etc) and ensure optimal routing to each based on the lab guidelines. Where is the topology config for this? I will talk to Rene and see if we can get it uploaded. Perhaps he forgot to move it when the site changed. Hi ALL, is one able to avail the solution ? So far, it looks to me like you can’t do this without some level of policy based routing. One distribute-list on R1,is that OK? I didn’t download the file but yes, I believe that was the solution. This was really a lab to test your knowledge of “redistribute connected”. Most people mess that up. It is a great lab, by the way Does anybody have the video for this lab ? ?